Sea of Bees gig at the Old Bookbinders. Oxford getting an independent record shop again. 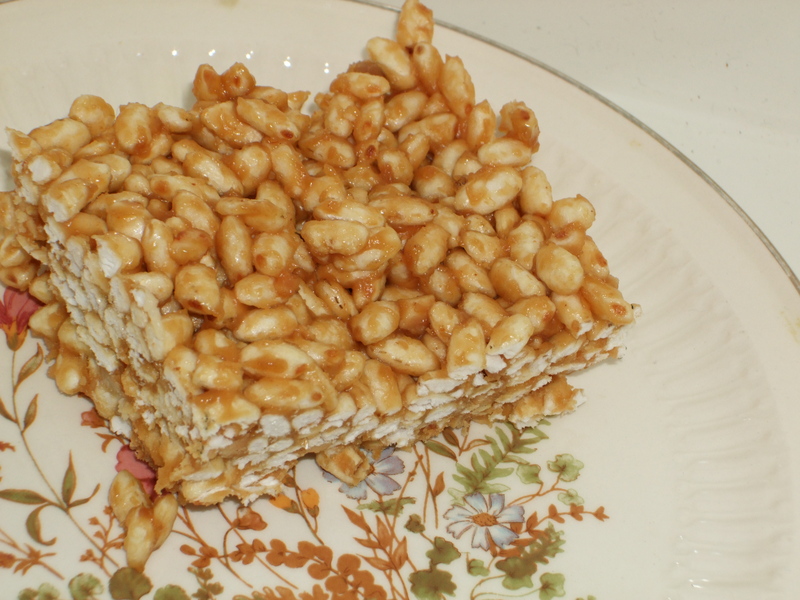 And these rice crispy cakes. Nothing with ‘rice crispy’ in the title can really be called sophisticated, but these are a slightly more grown-up version of the rice crispy cakes that you probably remember from formative cooking experiences with a bowl of chocolate, a packet of cereal and some paper cases. They’re a bit crunchy, a bit chewy, but mainly they taste of sugary peanut butter. My childhood self would never have gone anywhere near these due to textural issues with anything spreadable that wasn’t marmite, but I know better now. Combine the peanut butter, sweetener and salt (if using) in a saucepan large enough for all the ingredients and stir over a low heat until smooth and melted (obviously if you’re using crunchy peanut butter, it won’t be completely smooth). Add the cereal and stir to coat. It will seem like a high cereal to syrup ratio at first, but after a good mix it should be well covered. Transfer to a 20cm square tin and press in firmly with the back of a wooden spoon. Refrigerate until completely cold and set.